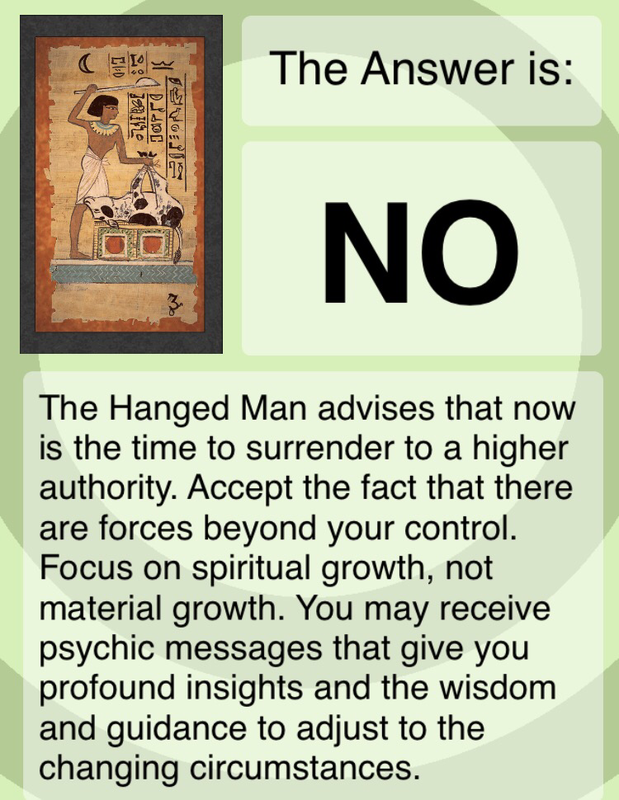 I have this app on my phone, Yes No Tarot. 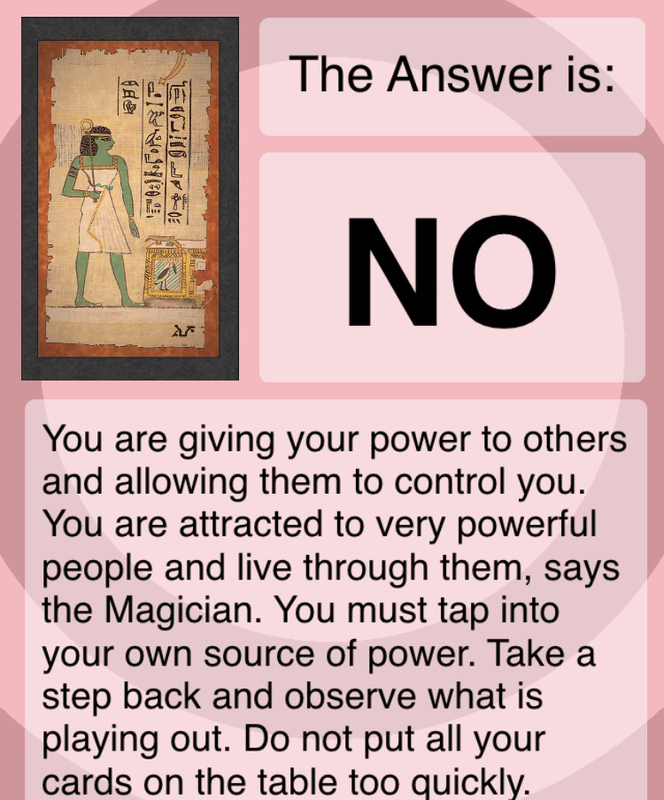 You pick from four categories, think of a question, and tap a card to get an answer. Supposedly the answer you get is the answer to your question. Nevermind if you ask the same question over and over, you will get a different answer every time. 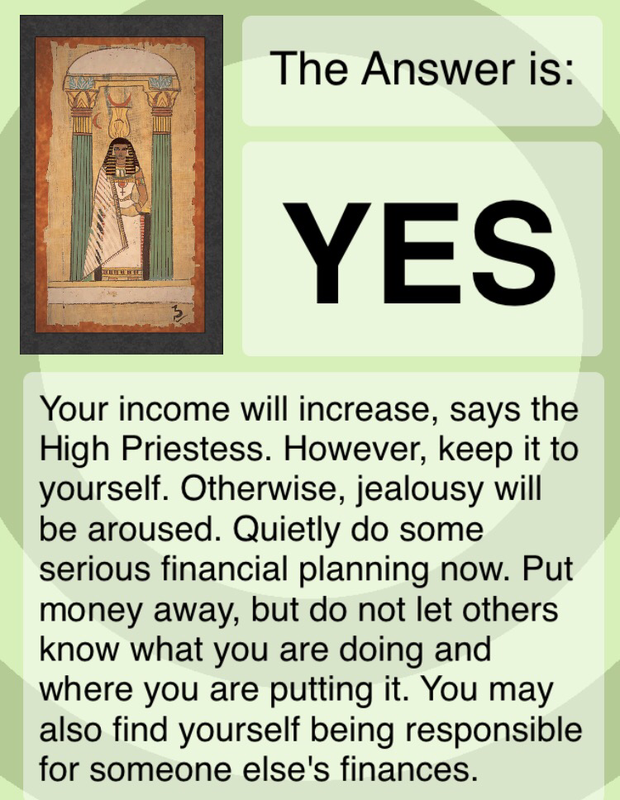 Will I ever be ridiculously wealthy? I like this answer. Despite the fact that I am certainly not involved in restructuring failed companies, I am going to take this one. I am ready for the power brokers to come woo me. I’ll sit by the phone and wait for them to somehow find my pushy, charming personality. I feel like this could certainly happen. Let’s try that question again. 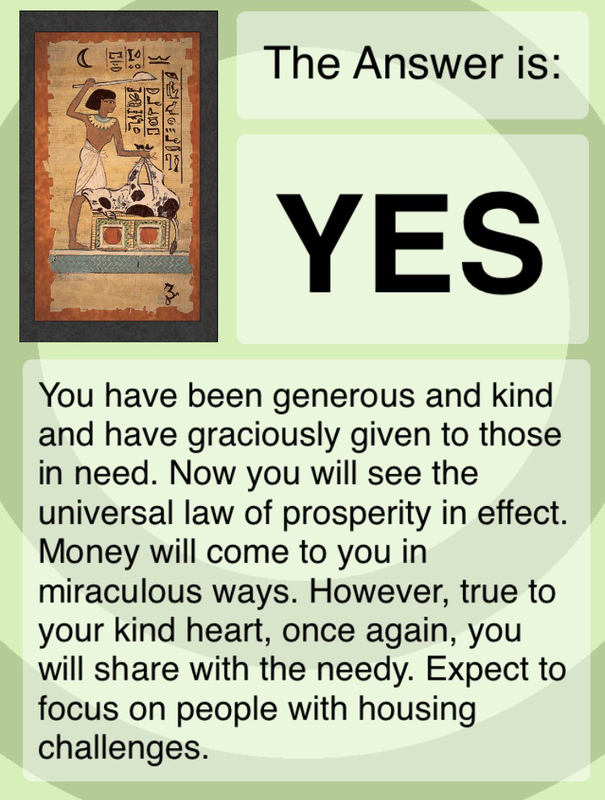 I like to think I am kind and generous, and miraculous money would be nice to fall into. I would certainly not be opposed to focusing on people with housing challenges. Oh! Wow! Still a yes. 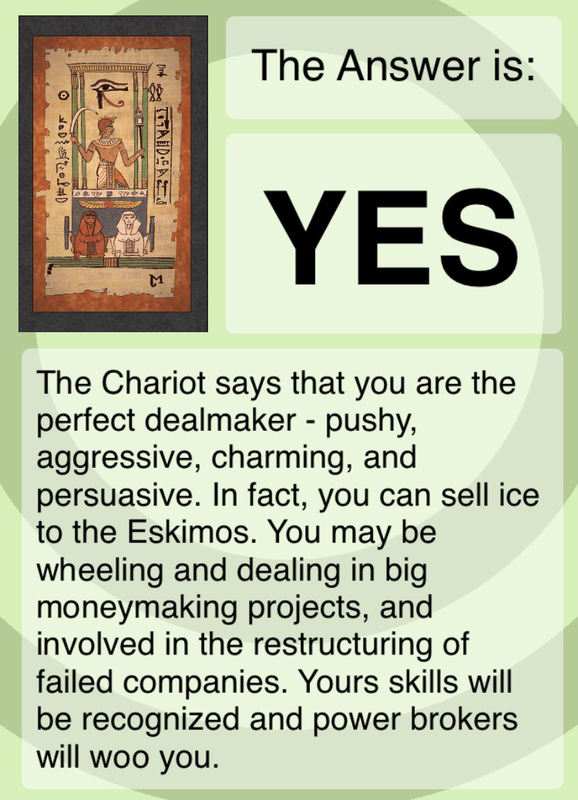 I am feeling this bodes well for my future. People would be jealous if I were ridiculously wealthy. I wouldn’t mind keeping it a secret. I am not sure I am the person I would choose to be responsible for other’s finances, but okay. I guess if the iPhone app says I should do it, I can’t argue. Wanna see if the streak keeps going? Okay, I know I have an extraordinary amount of crap but can I seriously plan on a ridiculous amount of money to come from a yard sale? Oh. Wait. 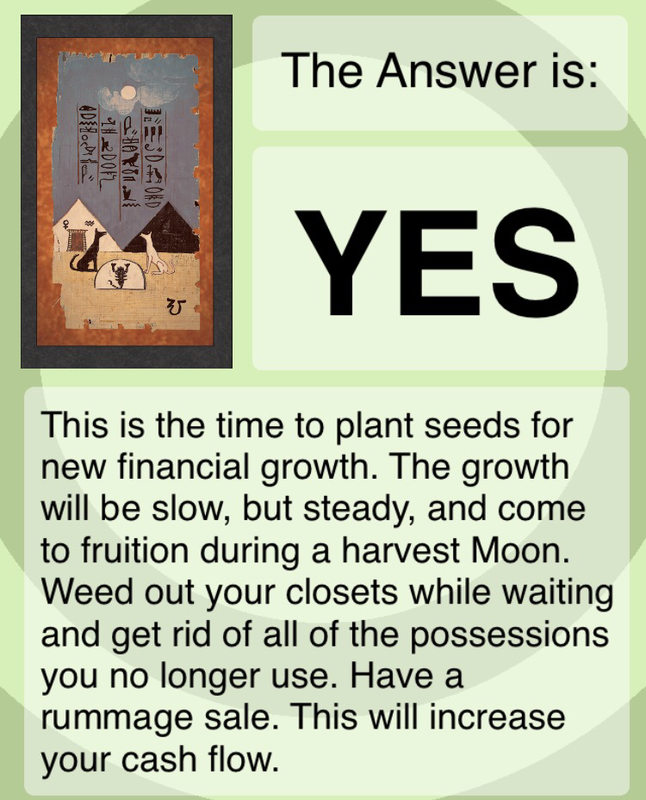 The yard sale is just going to plant seeds for slow growth. Sounds like a lot of work for seeds. Do I look like someone who enjoys gardening? Much less waiting. Hmmm. Bwahahahaha! Yes! Others should seek my financial advice. I make such good decisions. I’ve lose $25 on my Robinhood app. 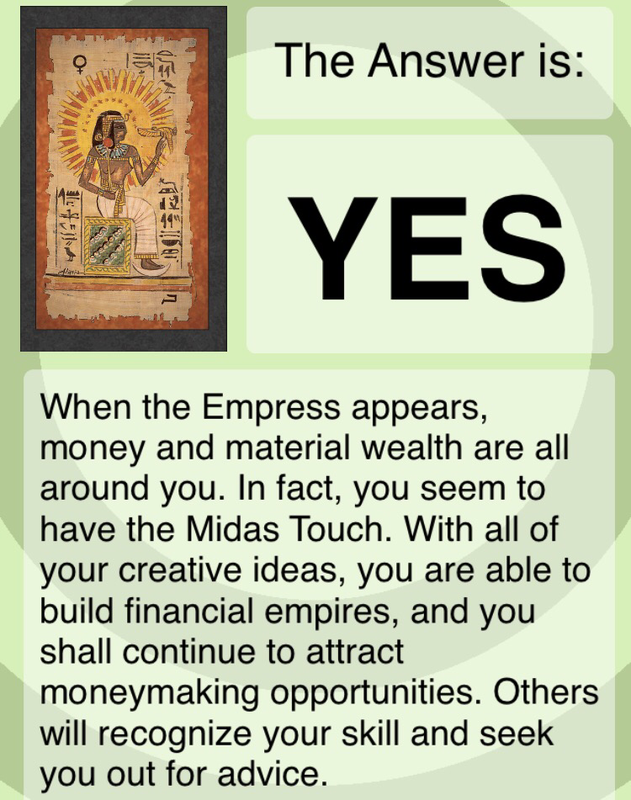 I certainly have the Midas Touch. Dammit! That’s what happens when I don’t quit while I am ahead. This is why I don’t need to hang out in casinos. These cards must be broken. 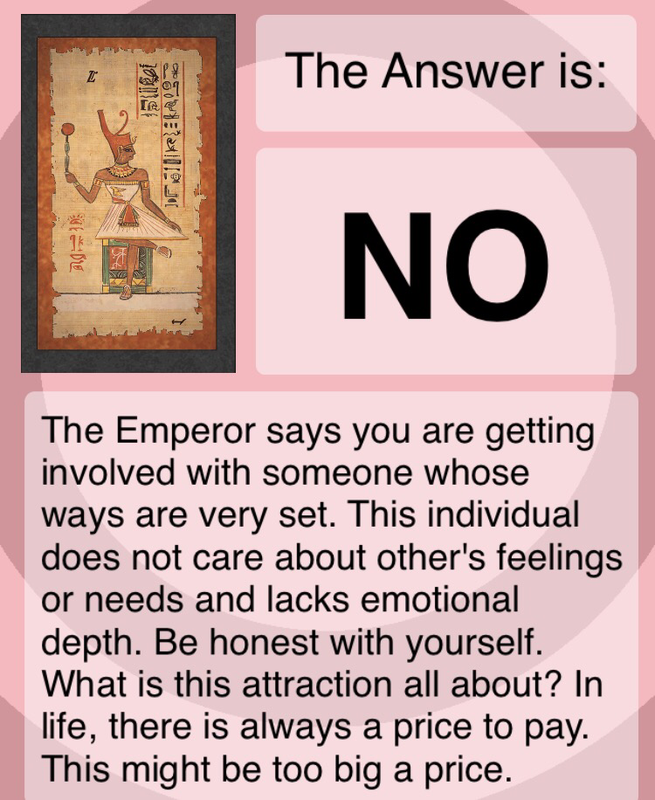 I don’t like this answer at all. Maybe the app didn’t hear me when I said I am crazy about this guy. What is this asshattery? 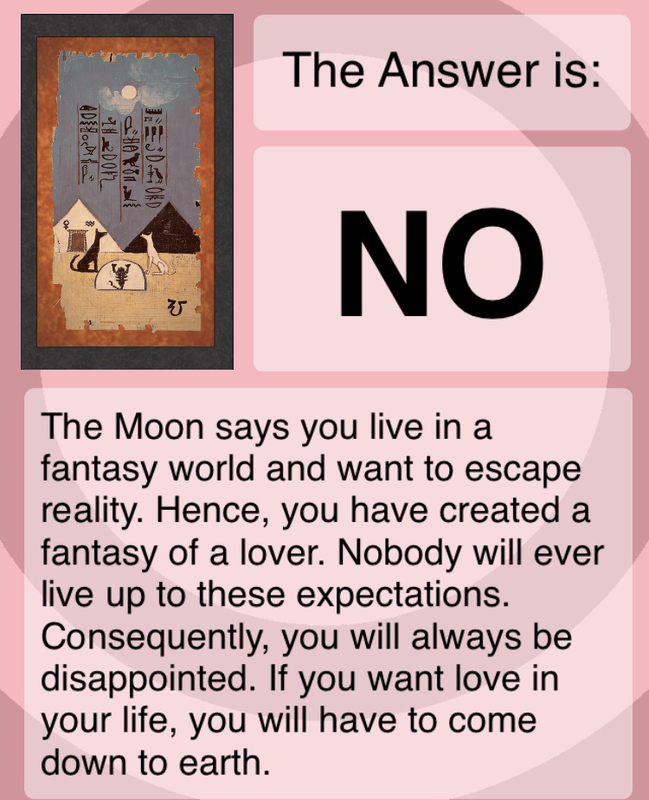 I don’t live in a fantasy world! This game is broken. Let me try again. I don’t think I like this game right now. It’s still wrong! I already met him! What the hell? Maybe I need to consult a Ouija board. Surely that is more accurate. Wait. Do they even work when you are alone? I guess it’s a good thing I don’t believe in this crap. At least as far as my romantic future goes. Now, I may start consulting it more often in my financial planning. I liked those answers. 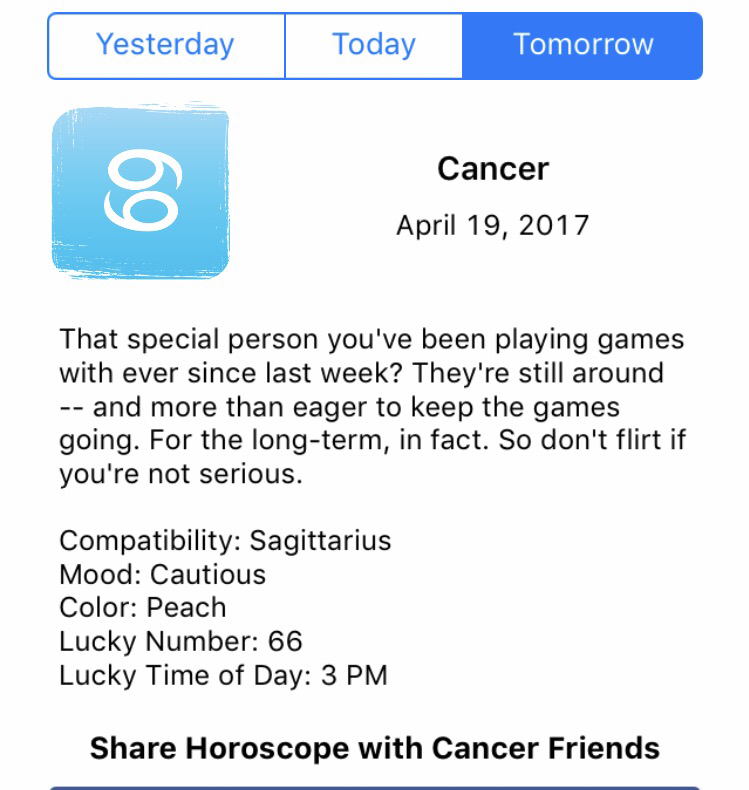 Let’s check my Horoscope for tomorrow. I like to plan for the future. Hmmmm. I think this is good. Or is it bad? Is it all just games? OMG. This is why I shouldn’t read this crap. This could be good or bad, depending on how you look at it. He’s in it for the long-term, but does that mean he’s only in it for long-term games? If I didn’t know better I would be quite upset and sending him a diatribe of angry text messages. Surely he will check my Horoscope and understand instantly what he’s done wrong.